WiFi is a wireless technology that allows devices like computers, tablets and smart phones to exchange data wirelessly to a computer network - the data is transferred via microwave electromagnetic radiation (EMR) rather than being carried through wires. WiFi uses microwaves in the 2.4, 3.6 and 5 GHz frequency range, the same as cordless phones and microwave ovens. However, microwave ovens use a lot more power inside a shielded oven. WiFi signals can travel though most solid objects including walls, furniture and the body, although metal objects (filing cabinets, wall beams, surgical implants and metal dental fillings) can reflect, refract and absorb these signals. WiFi is considered a convenient technology as you can create computer networks and internet connections between various devices with fewer network cables (wires). However there still needs to be a wired connection from the WiFi access point to a computer network or the internet. It is only through measuring and monitoring the EMR within a classroom that you can establish the level of EMR that children and staff are exposed to in each specific site. 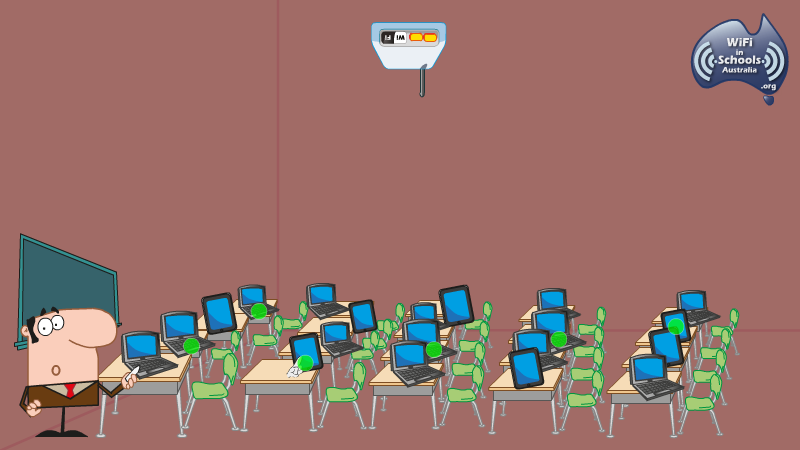 Although an individual device (laptop, iPad, access point, etc) may have an output within the safety limits, the configuration of a classroom with multiple laptops/tablets each emitting at maximum output (during network access) will expose children and staff to a significantly increased level of EMR. Elevated levels will be found near the access point and where the laptops/tablets are clustered. Every location has a different exposure level since there are various factors that influence and change the exposure level from a given source. Some contributing factors include; the strength of the EMR source, distance from the source, buildings and materials between the source and the person, type of modulation used (pulsed or unpulsed) etc. In addition to this, the radiation absorption rate will vary across people. Factors like metal dental braces, fillings, implants etc also determine how much radiation an individual absorbs. 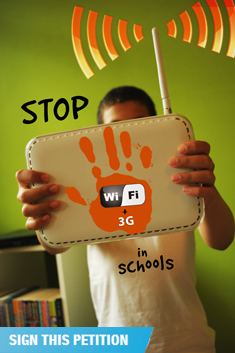 Children are especially vulnerable to wireless radiation since their brain and cells are still developing. Their skulls are thinner than adults and therefore radiation penetrates deeper. Today’s children will also have a longer life-time exposure to wireless radiation than adults, and from an increasingly younger age. Since increasing numbers of people are having adverse health symptoms well below the ‘safe limits’, we need to fully investigate and understand WiFi safety. 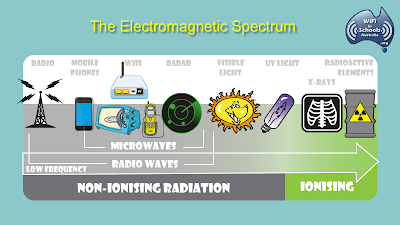 Long-term health effects need to be assessed before we involuntarily expose children to microwave radiation for 6 hours a day, 5 days a week throughout their school years. Against a backdrop of increasing cumulative exposure from other wireless technologies at home and in public spaces (smart meters, WiMax, mobile phone towers, game consoles etc) it is important to include these when evaluating the risks to children in school. It is evident that risks to human health increase with strength, proximity and duration of exposure to electromagnetic radiation. Therefore, even at low levels, after many years of exposure the health risks may be significant. Technology is a tool to enhance and enable learning, and WiFi is just one connectivity method to connect to the Internet. WiFi is not the Internet. One of the main reasons stated by administrators for implementing WiFi in schools is that WiFi is essential to our children’s education, and not having WiFi will be detrimental to their future. The Australian Core Skills Framework (ACSF) lists the five core education skills as; Learning, Reading, Writing, Oral Communication & Numeracy. Additional skills built on the core five include, Critical Thinking, Creativity, Social Skills and Digital Fluency among others. Technology is a tool that can be used to build these core skills. Tools employed to fulfill these skills encompass all the resources found in classrooms, including books, whiteboards, computers, games, science equipment etc. WiFi is in essence a connectivity infrastructure that allows learning tools (computers, tablets and smart phones) to be wirelessly connected to a computer network and in turn, connected to the Internet. WiFi undoubtedly gives mobility of these tools but isn’t the only way to connect to the Internet, and WiFi doesn’t in itself impart digital fluency. As noted by Mitchel Resnick from MIT, being digitally fluent involves not only knowing how to use technological tools but also knowing how to construct things of significance with those tools, (Rethinking Learning in the Digital Age in The Global Information Technology Report: Readiness for the Networked World). The use of Participatory Learning and other comparative modes of interaction are enhanced by technology and the Internet. However, placing a WiFi enabled device (iPads, iPhones and tablets) in every child’s lap doesn’t instantly guarantee these actions or build core skills and digital fluency. Teachers with experience of working in a digital classroom will recognise that blended learning is the key - using all the tools at hand to fulfill the aims of that day’s class. To try and impart learning just through a screen in all possible situations ignores the benefits of other non-technological tools and the development of associated skills. Furthermore, published research in medical and scientific journals shows that there are significant biological changes in children's brains and bodies as a result of the amount of time spent in front of a screen. Since children undergoing key stages of development are spending increasingly more time watching screen media, medical experts are advising to delay and reduce the amount of time children spend in front of a screen, (The Impact Of Screen Media On Children: A Eurovision For Parliament). If there was no evidence of potential health risks from the use of wireless devices or there was clear evidence that this connection technology was safe, then there would be no debate about using WiFi in schools and the need to take a precautionary approach. ARPANSA lists precautions that can be taken to reduce exposure to EMR in their various fact sheets. Therefore, it is imperative for schools to consider these precautions, conduct a risk assessment and develop a management plan to reduce EMR exposure to children and staff. For example, in order to use chemistry equipment in schools, the risks have been assessed and the appropriate safety procedures are followed - access to the chemicals and glassware is not permitted during every lesson. A risk assessment process determines policies and procedures for anaphylaxis and asbestos management, electrical infrastructure and other potential hazards. However, a needs analysis and risk assessment of the long-term use of WiFi and other radiation emitting devices has not been conducted in schools. Another reason given by administrators in education departments for implementing WiFi is that wired networks increase the risk of trip hazards associated with network cables. This “known hazard” is used to trump the “unknown hazard” of wireless devices, however, if implemented correctly there should be no wires running across the classroom floor. 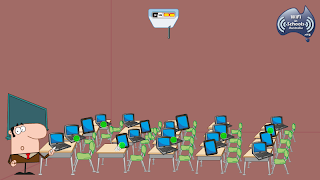 Wired computer networks have been installed in classrooms for twenty years and best practices have been established and are well document by the various ICT Education Departments in Australia. The Queensland Government highlights such procedures in the DET- Network Infrastructure Procedures & Standards DNIPS V2.3. December 2011. Since there is evidence of biological effects and it has not yet been factored into the safety standards, education authorities need to understand and acknowledge that there is evidence of potential health risks. Studies showing biological effects from the WiFi frequency range. Schools have a duty of care to provide a safe learning environment for all children. 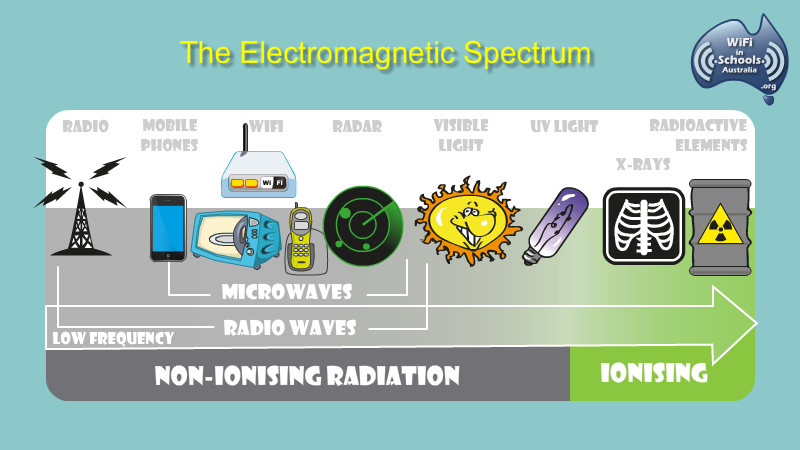 Principals, staff, parents, care givers and education authorities need to urgently realise the full implications of involuntarily exposing children to chronic low-level radiation from wireless technologies. The use of a wired network infrastructure does impair mobility of computers and laptops. It also requires strategic planning to implement successfully and can’t be thrown together in an ad hoc manner. However, the use of wired networks does not stop the use of technology and the internet in the classroom or stop children developing digital fluency. If blended learning is the goal to achieving the core skills, then this can be done safely using wired networks while scientists and public health officials determine the long-term effects to children from chronic exposure to wireless radiation. Please get informed. Pass on this knowledge to family, friends, politicians and decision-makers. Let's protect children from wireless radiation until long-term exposure is proven harmless.